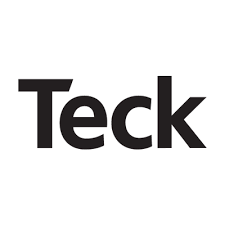 Teck Resources Limited (TSX: TECK.A and TECK.B) (NYSE: TECK) announced today that Sumitomo Metal Mining Co., Ltd. and Sumitomo Corporation have agreed to acquire a 30% indirect interest in Compañia Minera Teck Quebrada Blanca S.A. which owns the Quebrada Blanca Phase 2 project. The Teck board has also approved the QB2 project for full construction, with first production targeted for the second half of 2021. The combination of proceeds from the transaction and proposed project financing reduces Teck’s share of equity contributions toward the un-escalated US$4.739 billion1 estimated capital cost of the QB2 project to US$693 million2 with Teck’s first contributions not required until late 2020. In light of the significant reduction in QB2 funding required from Teck due to the transaction proceeds and Teck’s reduced project interest, the Teck Board will consider an additional return of capital to shareholders following closing of the transaction. (1) On a 100% go forward basis from January 1, 2019 in constant Q2 2017 dollars and a CLP:USD exchange rate of 625, not including escalation (estimated at US$300 – $470 million based on 2 – 3% per annum inflation), working capital or interest during construction. Includes approximately US$500 million in contingency. At current spot CLP/USD rate of approximately 675 capital would be reduced by approximately US$270 million. (2) On a go forward basis from January 1, 2019. Assumes US$2.5 billion in project finance loans and without deduction of fees and interest during construction, and US$1.2 billion contribution from SMM and SC. (3) Sanction Case economics; see below for further details. Range based on copper price of US$3.00 – $3.50/lb. Sanction Case includes 199Mt inferred resources that are considered too speculative geologically to have the economic considerations applied to them that would enable them to be categorized as mineral reserve. Inferred resources are subject to greater uncertainty than measured or indicated resources and it cannot be assumed that they will be successfully upgraded to measured and indicated through further drilling. (4) Copper equivalent production calculated assuming US$3.00/lb copper, US$10.00/lb molybdenum and US$18.00/oz silver without adjusting for payability. QB2 project costs by way of limited recourse project financing obtained from third party lenders and to contribute the balance of required funding in the form of subordinated shareholder loans to QBSA and subscriptions by JVco for common shares of QBSA. Teck is in advanced discussions with lenders concerning the terms of the proposed project financing. The QB2 project is a long-life, low cost copper asset. Its large resource base provides great potential to significantly expand and extend the mine life beyond the current development. The deposit is open in several directions, with further resource expansion potential and a consistent grade profile. QB2 will produce clean copper and molybdenum concentrates. The project is expected to generate strong economic returns with C1 cash costs well inside the lower half of the cost curve, at US$1.28 per payable pound of copper produced for the first five full years. Sustaining capital is expected to be low due to the exceptionally low strip ratio, which averages just 0.44 tonnes of waste per tonne of ore mined in the first five full years and 0.70 over the life of mine. The low ratio of waste to ore results in low operating and equipment replacement costs, contributing to low all-in sustaining costs of US$1.38 per payable pound of copper produced for the first five full years of mine life. The QB2 project has a 28 year mine life and includes 199 million tonnes of inferred resources within the life of mine plan. The majority of this inferred material is not scheduled to be mined until late in the mine life and is displacing lower grade economic material within the pit. Teck refers to the planned development of the QB2 project that includes these inferred resources as the “Sanction Case”. Key information regarding a reserve-only case is included in this news release for reference. Inferred resources are considered too speculative geologically to have the economic considerations applied to them that would enable them to be categorized as mineral reserve. Inferred resources are subject to greater uncertainty than measured or indicated resources and it cannot be assumed that they will be successfully upgraded to measured and indicated through further drilling. Based on Teck’s understanding of the deposit and history of resource to reserve conversion, the Sanction Case is regarded as a realistic and financeable development plan.